Happy Monday! 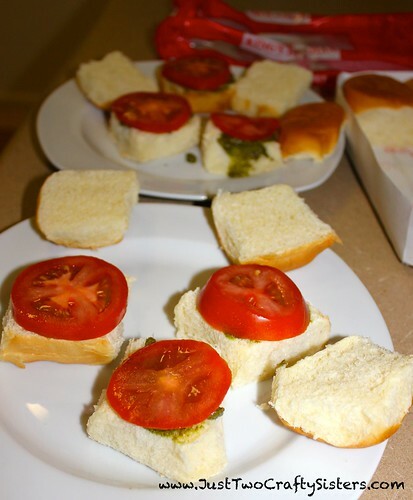 For this week’s Mealtime Monday, I am sharing some great and simple tomato, Parmesan pesto sliders with a recipe from Cooking Light. YUM! 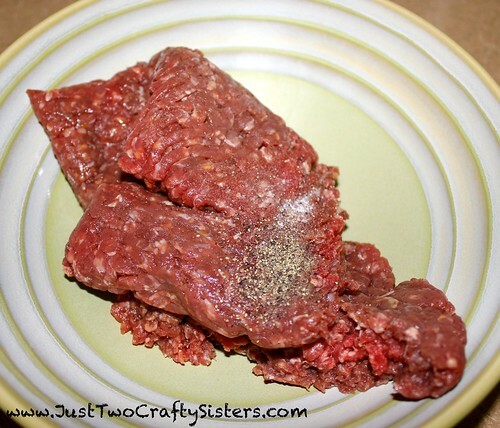 Step 1: Start off with placing your raw ground beef into a bowl. Season with salt and pepper an mix together. 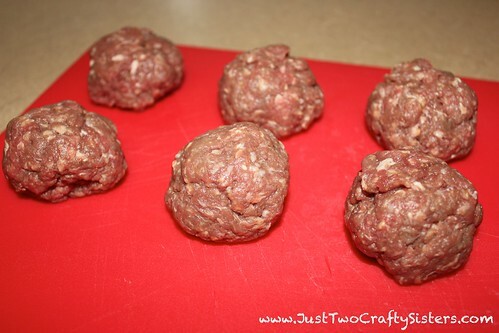 Step 2: Roll meat into small balls. 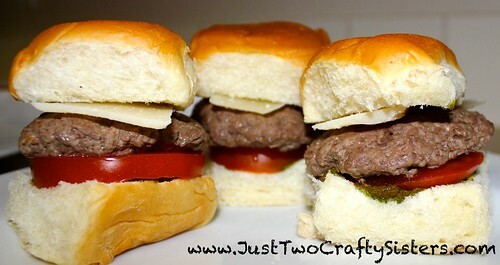 I was using 1/2 a package of ground beef and wanted to make 6 sliders, so I simply divided my meat into 6 balls and the size worked out perfectly. 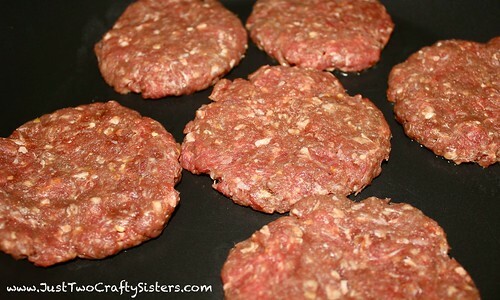 Step 3: Flatten the balls to make slider meat patties. Place into a skillet over medium-high heat. Cook for about 3 minutes on each side or until desired done-ness. 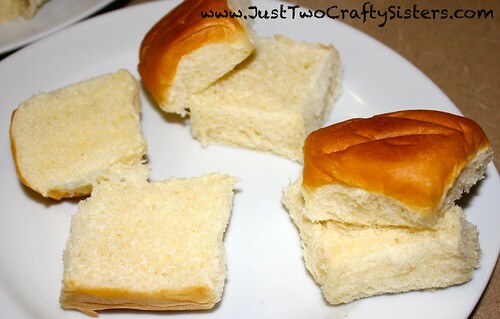 Step 4: Prepare rolls (aka cut in half). 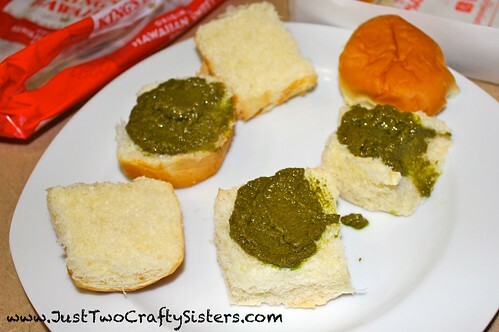 Step 5: Slather on a nice dollop of pesto to the bottom of each bun. Step 6: Top with a slice of a nice juicy red tomato. 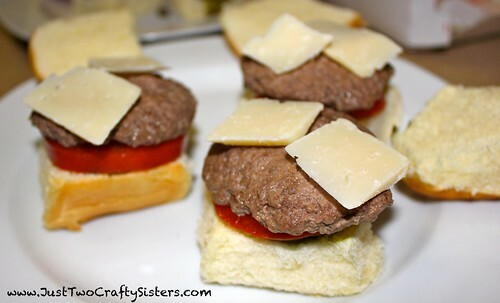 Step 7: Now top that with the meat patty and a couple slices of Parmesan cheese. Step 8: Enjoy. 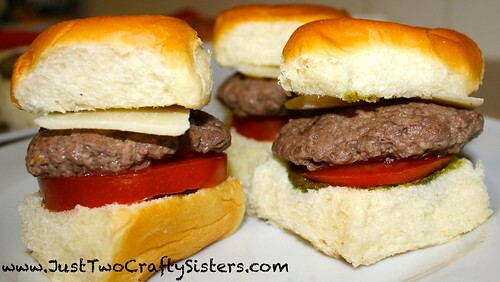 Great for dinner or as an appetizer for a get-together.